While each side of the brain does serve a different purpose, the two sides are more similar than most people believe them to be. As research has been exaggerated, it has caused the myth that the left side of the brain does things that the right side of the brain has no role in, and vice versa. The truth is, that the left and the right sides of the brain often have to work together and actually share many functions. This is why it is so important to teach to both sides of the brain in the classroom. The left side of the brain is used more for logical and analytical thinking and problem solving. This is the side of the brain that is more active during mathematics classes, or any activities that require objectivity or analytical thinking. However, studies have shown that even though the left side of the brain is more analytical, the right side of the brain is also active during analytical activities, meaning that it is when the two sides work together that people's abilities are the strongest. Chicago tutoring programs focus on encouraging students to use both sides of the brain when problem solving. 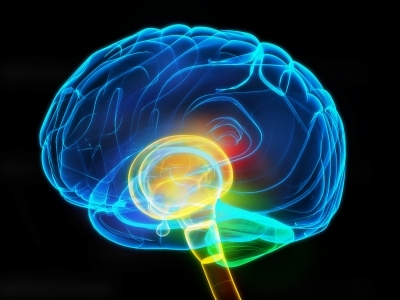 The right side of the brain is said to be the more creative, visual and emotional side. It is said that this side of the brain is used more when listening to music, recognizing people's faces, in our spatial awareness and in making sense of the images that people see. It is so important that both sides of the brain are stimulated during the educational process. Children need to develop analytical skills, logic skills, language skills and problem-solving skills. Children also need to develop spatial awareness, emoting skills, and creativity. A teacher, or elementary or high school tutor, who educates by teaching both sides of the brain, will greatly help a child's development. 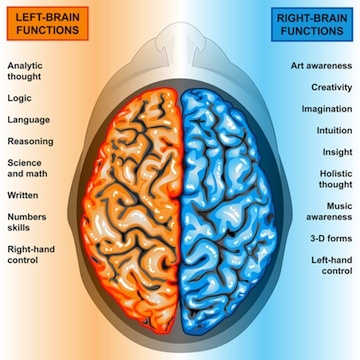 The left side of the brain is more analytical, objective, and logical. The right side of the brain is more creative, emotional, and visual. Both parts of the brain work together to complete tasks. It is important to teach to both the left and right sides of the brain. Are you interested in Chicago tutoring services? Chicago Academic can help! Contact us today at (773) 466-0101 to learn more.